LOS ANGELES -- The mother of the man who shot and killed three law-enforcement officers in Baton Rouge said her son would "pretty much lose it" when he heard about a black man being shot by police in what he considered an unlawful manner. 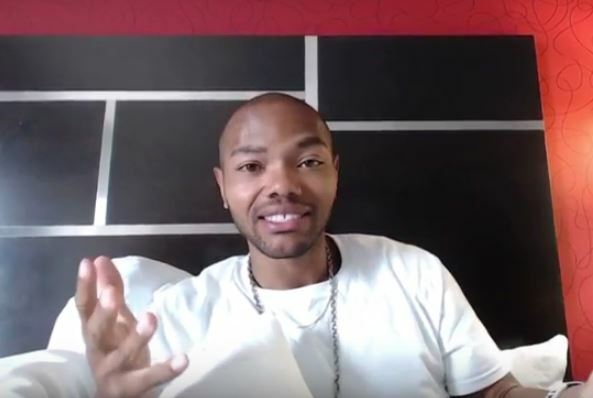 In an interview with PBS talk show host Tavis Smiley on Thursday, Corine Woodley said son Gavin Long rented a car several times and drove to locations where black men had been shot by police and would tell her: "Somebody has to do something." Police gunned down Long, a 29-year-old black man from Kansas City, Missouri, after he shot and killed three officers and wounded three others during a shootout Sunday. Long was armed with two rifles and a pistol and wearing a ski mask Sunday when he ambushed the officers near a gas station and convenience store. Two Baton Rouge police officers - 32-year-old Montrell Jackson and 41-year-old Matthew Gerald - and 45-year-old East Baton Rouge Parish Sheriff's Office Deputy Brad Garafola were killed in the shooting. Woodley said during the interview taped in Los Angeles that she believes Long, an Iraq war veteran, suffered from post-traumatic stress disorder and he once said he thought the CIA was following him. She brought a letter she said he received from the Department of Veterans Affairs denying her son's request for treatment of PTSD in 2013 on grounds that the disorder wasn't related to his military service. The letter was shown to an Associated Press reporter but could not be independently verified. Long spent five years in the Marine Corps. He served one tour in Iraq before being honorably discharged. His occupational expertise was listed as a "data network specialist." Although he never saw combat, there was "shooting all around" where he was stationed, his mother said. Many of the nearly three million Americans that have served in Iraq and Afghanistan deal with anger issues, reported CBS News' David Martin. A study published by Army psychiatrists in 2015 found "anger and aggression are among the most common issues reported by returning service members from combat deployments," Martin reported. Dallas gunman Micah Johnson, who killed five officers in a shooting rampage, was also deployed, with an Army engineering unit in Afghanistan. While there's no indication from their service records that either Long or Johnson saw combat, in wars fought without front lines almost everybody could be exposed to some level of violence, Martin reported. While the Marines say none of their studies have found a conclusive link between combat deployment and anger, Martin reported, a 2013 Army study of 2,000 combat veterans found thirty-five percent getting angry enough to kick or smash something, twenty-two percent angry enough to threaten someone with physical violence and seven percent angry enough to actually hit someone. Veterans Health Administration records show a number of contacts with Long from 2008 to 2013, with the last known encounter with the VA in August 2013, according to a statement from the VA this week. The statement said the Health Insurance Portability and Accountability Act prohibits the VA from disclosing any additional information. "My heart bleeds for the families (of the officers), more so than Gavin," his mother said. "I know Gavin; I know he did it. He didn't see any way out (from) the vicious killings from the police officers. He actually felt that was the only thing he could do to help the situation." She also brought two diaries she said her troubled son wrote - one in 2014 and one in 2015 - that include rambling thoughts on philosophy, religion and politics. At one point, he wrote: "If you are not going to let me live, then you are going to have to kill me." The diaries are in addition to a handwritten self-described manifesto that an Ohio man says was emailed to him by Long less than an hour before the shootings. Photographs of the three-page letter show it was signed by "Cosmo," the first name of an alias used by Long, and the pictures were attached to an email sent from a Google address that Long used. The AP was not able to conclusively verify Long sent the photos himself from his Google account. Metadata reviewed from the three photos indicates they were snapped shortly before 8 a.m. on the day of the shooting using a Motorola Android cellphone, but both photos and time stamps can be modified. Karama said he provided a copy of the letter to FBI agents who interviewed him at his home Wednesday. Louisiana State Police Maj. Doug Cain said authorities were trying to verify that Long wrote the letter.